With Moscow and Ankara striking a deal earlier this month to avert all-out war in Syria’s Idlib province, the Syrian Army has decreased its commitment of forces in the area, suggesting President Assad intends on adhering to the terms of the agreement. The Syrian Army General Command has ordered two divisions to transfer their forces to the Al-Suwayda government to stamp out Daesh’s* presence in the area, Al-Masdar News (AMN) reported on Monday, citing a military source. 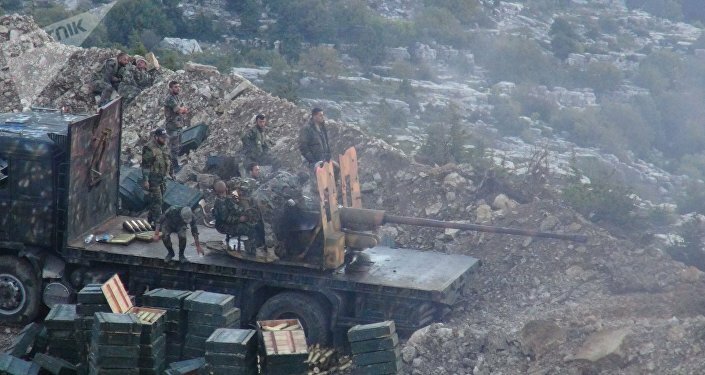 The 5th and 9th divisions have reportedly already left Idlib for southern Syria, looking to bolster the Syrian Army’s contingent of forces there ahead of the government’s final push to eliminate Daesh terrorists in the province. In July, Daesh terrorists carried out a largescale attack in the predominantly Druze province, killing over 200 civilians and local militiamen, in addition to kidnapping dozens of girls, who are believed to have since been executed. 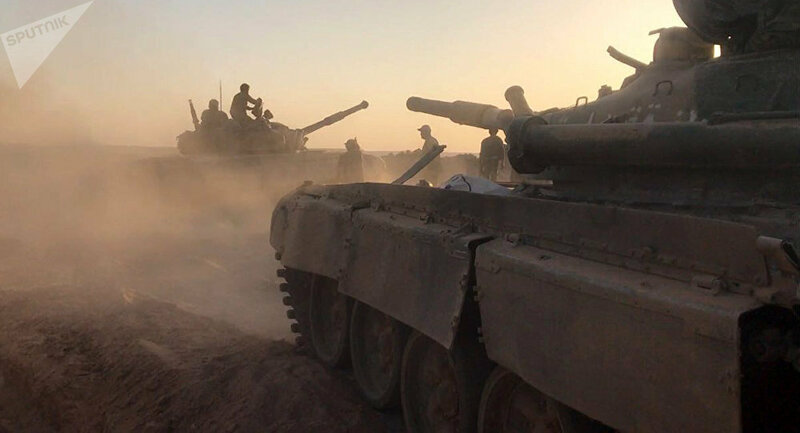 As the Syrian Army’s heavily anticipated Idlib offensive has been called off, or at least postponed, further units are expected to be redeployed to more active battlefronts, as government forces continue to liberate the country from hardline Islamist militants. On Sunday, government forces cut off entrenched Daesh terrorist’s last water supplies in the Al-Suwayda government, a Sputnik correspondent reported. Daesh’s caliphate has been reduced a few isolated patches of territory, with the Syrian Army scoring sizeable territorial gains against the terror group in recent years, aided by Russian and Iranian assistance. *Daesh (also known as ISIS/ISIL/Islamic State) is a terrorist group banned in Russia and many other countries.